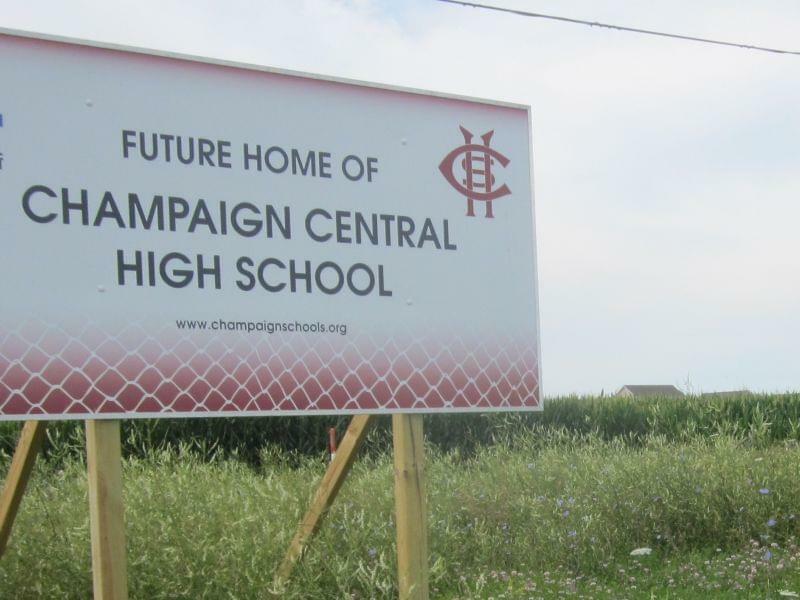 The Champaign Unit Four School District is asking voters to approve a bond referendum this November, for a major makeover of their high schools, Centennial and Central. 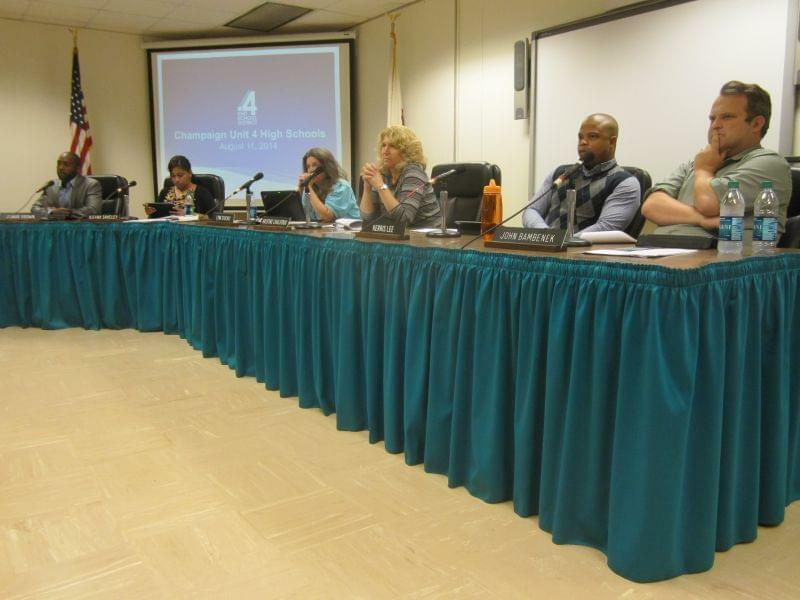 School board members voted at their meeting Monday night to put the item on the ballot. The $149-million bond proposal has its critics, but they didn’t speak up at the meeting. Instead, support for the referendum was heard from everyone from the school board president down to the student ambassadors --- those are high school students who serve as liaisons between the student body and the board. Cedric Jones is starting his second year as student ambassador for Champaign Central High School, which was built in the 1930’s, and still doesn’t have air conditioning. The two Unit Four high schools operate at 103% capacity, and provide the least square feet-per-student among districts of similar size in the region. They lack key facilities --- nothing for Industrial Arts at Centennial High School, and no athletic fields at Champaign Central. Concepts discussed for the new building at Monday night’s school board meeting would fix those problems, and redesign the general class space. Consultants from the Chicago-based DLR Group laid out classroom concepts they dubbed “learning studios”, emphasizing flexibility for different class sizes and learning styles. Champaign Central High School Principal Joe Williams says that’s as important as the square footage. 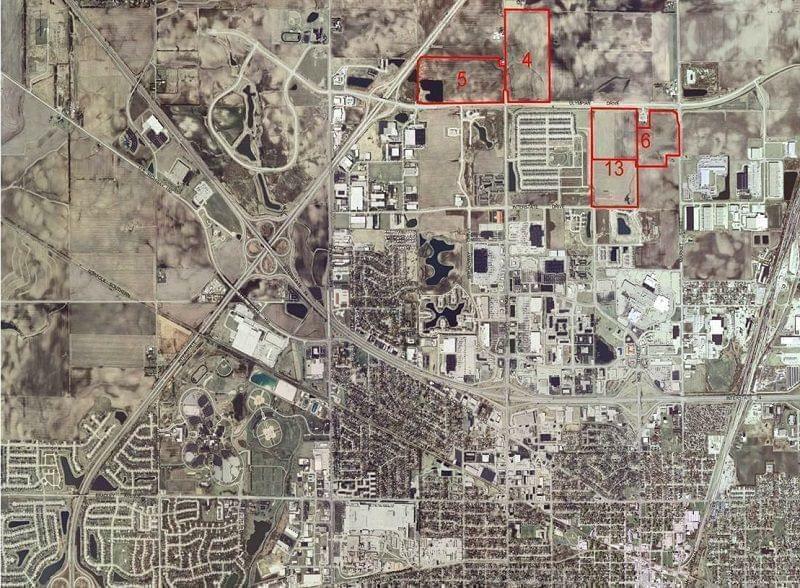 There was little discussion of the district’s controversial pick of a location for a new Central High School , along Interstate Drive on the northernmost edge of Champaign. Critics say Central High School should be in a more central Location. But school officials have said that other potential sites, such as Spalding Park, Dodds Park and the Country Fair Shopping Center are too small, too expensive, impractical or not available. Some critics have also questioned the need for such a big project. Unit Four parent Charles Schultz is one of those. He writes about the Unit Four district at his blog, Citizen4. Schultz thinks the district should focus for now on the immediate need to relieve high school overcrowding, and give the more ambitious plans more study. Schultz says the district should look to opening more but smaller high schools. He suggests obtaining an existing building to relieve immediate overcrowding, and consider creating schools with academic specialties that don’t require so much acreage. But Unit four school board members weren’t thinking along those lines Monday night, as each of them voted to put the high school bond referendum on the November 4th ballot. Even board member John Bambanek, who proposed a property tax freeze when he ran for the state senate a few years ago, said he could support asking the voters to approve a referendum that would result in a raise in their property taxes rates. Unit Four School Board President Laurie Bonnett says she’s confident that voters will approve the referendum. If they don’t, the consultants say every year’s delay in construction adds millions of dollars to the total cost, once the project is built.